The Cisco Catalyst Blade Switch 3020 for HP is an integrated switch for HP c-Class BladeSystem customers that extends resilient and secure Cisco infrastructure services to the server edge and utilizes existing network investments to help reduce operational expenses. 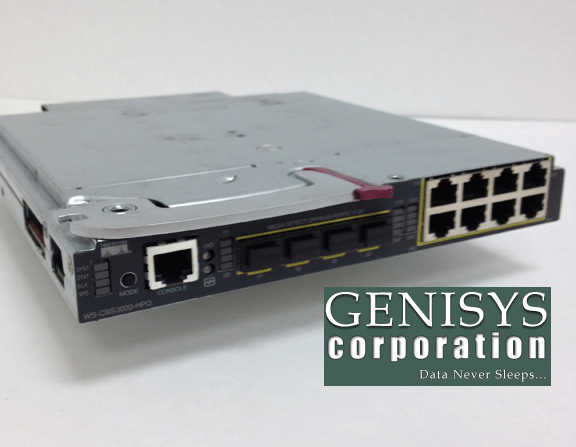 The Cisco Catalyst Blade Switch 3020 for HP provides HP c-Class BladeSystem customers with an integrated switching solution that dramatically reduces cable complexity. This solution offers consistent network services such as high availability, quality of service (QoS), and security. It utilizes the comprehensive Cisco management framework to simplify ongoing operations. Cisco advanced network services in combination with simplified management help reduce total cost of ownership.